Formex began manufacturing high quality plastic products in 1961. They offer various products such as transformer pads, dock floats, uncharted watercraft, chicken coops and hunting blinds, among others. In addition, they also offer custom thermoforming and create a simple sketch or a completed 3D cad model. 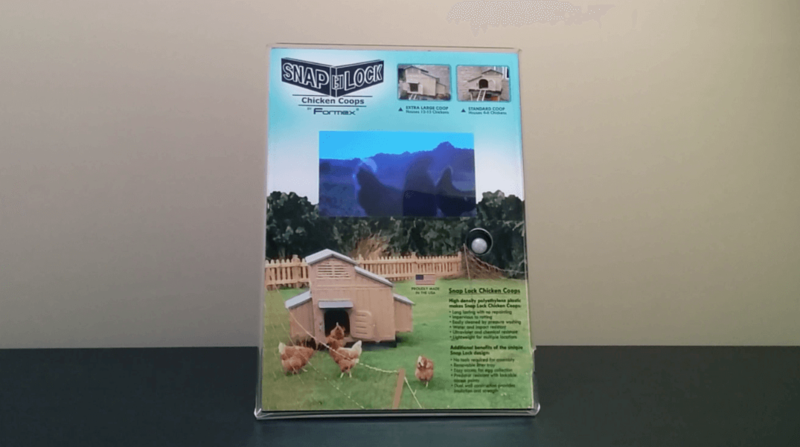 Formex launched the Snap Lock Chicken Coops in stores through bigDAWGS’ Motion Activated Countertop Video Display. The unique Snap Lock design requires no tools for assembly, lightweight for moving into multiple locations and is proudly made in the USA. Visit formex.com to see more of their products!